The Services is offered and available to users who are 18 years of age or older. By using the Services, you represent and warrant that you meet the foregoing eligibility requirement. If you do not meet this requirement, you must not access or use the Services. PLEASE BE AWARE THAT THESE TERMS INCLUDE LIMITATIONS ON THE LIABILITY OF HEALTHCHECKUP AND OUR OBLIGATIONS RELATING TO THE SERVICES, CERTAIN CONDITIONS WITH RESPECT TO JURISDICTION, AND CERTAIN EXCLUSIONS OF HEALTHCHECKUP’S RESPONSIBILITY. The Contents of the HealthCheckup Services, such as text, graphics, images, information obtained from HealthCheckup’s licensors, and other material contained of the HealthCheckup Services (“Content”) are for informational purposes only. The content is not intended to be a substitute for professional medical advice, diagnosis, or treatment. 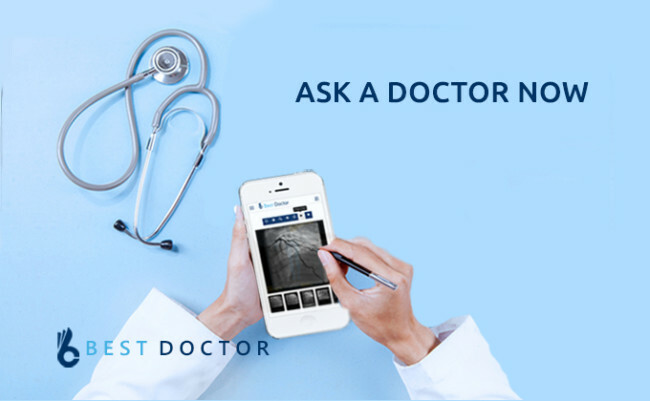 Always seek the advice of your physician or other qualified health provider with any question you may have regarding a medical condition. If you think you may have a medical emergency, call your doctor or emergency services immediately. HealthCheckup does not recommend or endorse any specific tests, physician, products, procedures, opinions, or other information that may be mentioned on the Services. Reliance on any information provided by HealthCheckup, HealthCheckup employees, others appearing on the Services at the invitation of HealthCheckup, or other visitors to the Services is solely at your own risk. The Services may contain health-or-medical- related materials that are sexually explicit. If you find these materials offensive, you may not want to use our Site. Unless otherwise noted, all Contents on the Services, whether publicly posted or privately transmitted, as well as all derivative works are property owned, controlled, licensed or used with permission by HealthCheckup, and/or its parents, subsidiaries and affiliates or other parties that have licensed to or otherwise permitted their material to be used by HealthCheckup. The Services as a whole and their Contents are protected by copyright, trademark, trade dress and other laws and all worldwide right, title and interest in and to the Services and its Contents are owned by HealthCheckup or used with permission. HealthCheckup.com, HealthCheckup, the HealthCheckup logos, and all other trademarks appearing on the Services are trademarks of HealthCheckup or are licensed or used with permission of the owner by HealthCheckup. You agree not to display or use such trademarks without HealthCheckup’s prior written permission. HealthCheckup disclaims any proprietary interest in trademarks, service marks, logos, slogans, domain names and trade names other than its own. The data exhibited on or through the Administrations is made accessible exclusively for general data purposes. We may refresh the substance on these Administrations every now and then, yet the substance isn’t really total or avant-garde. Any of the material on the Administrations might be outdated at any given time, and we are under no commitment to refresh such material. Disclosing the password or allowing an outsider to utilize a watchword or neglecting to report us if a secret key is traded off. Attempting to test, output or test the weakness of the framework or organize or to rupture security or validation measures without appropriate approval. Attempting to meddle with administration to any client, host or system, including, without impediment, through methods for over-burdening, “flooding”, “mail besieging” or “slamming”. Sending spontaneous email or business electronic messages, including advancements or potentially publicising of items or administrations. Hijacking all or any piece of the Services content, erasing or changing any Services content, sending fly up messages or promoting, running or showing this Services or any Services content in outlines or through comparative means on another site, or connecting to the Services or any page inside the Services, without our particular composed authorization. You consent to utilize the Administrations just for legitimate purposes and just for your very own, non-business utilization. You may not utilize the Administrations to transmit, post, download, appropriate, duplicate, show openly, store or crush material (a) disregarding any relevant law or direction, (b) in a way that will encroach the copyright, patent, trademark, competitive advantage or other protected innovation privileges of others or damage the security or reputation or other individual privileges of others, or (c) that is hostile, foul, hostile, undermining, defamatory, harsh or disdainful. We have total prudence to decide whether any utilisation damages these tenets, and to go about as we consider suitable in case of any infringement. Infringement of framework or system security may bring about common or criminal risk. We will examine events which may include such infringement and may include, collaborate with, and make revelations to, law requirement experts in distinguishing and indicting clients who are engaged with such infringement. The utilization of the HealthCheckup Administrations and the Substance is at your own particular hazard. When utilizing the HealthCheckup Administrations, data will be transmitted over a medium that might be outside the ability to control and purview of HealthCheckup and its providers. As needs be, HealthCheckup accept no obligation for or identifying with the deferral, disappointment, interference, or defilement of any information or other data transmitted regarding utilization of the HealthCheckup Administrations. The accuracy, reliability, completeness, currentness, or timeliness of the Content, software, text, graphics, links, or communications provided on or through the use of the HealthCheckup Services or HealthCheckup. The satisfaction of any government regulations requiring disclosure of information on prescription drug products or the approval or compliance of any software tools with regard to the Content contained on the HealthCheckup Services. HealthCheckup may choose certain destinations as need reactions to seek terms you enter and HealthCheckup may consent to enable promoters to react to certain inquiry terms with ads or supported substance. HealthCheckup does not prescribe and does not support the substance on any third – party sites. HealthCheckup isn’t in charge of the substance of connected outsider destinations, locales surrounded inside the HealthCheckup Administrations, outsider destinations gave as query items, or outsider notices, and does not make any portrayals with respect to their substance or precision. Your utilization of outsider sites is at your own hazard and subject to the Terms of Utilization for such destinations. HealthCheckup does not underwrite any item promoted on the HealthCheckup Administrations. HealthCheckup is based in Hyderabad, Telangana state, India. HealthCheckup makes no claims that HealthCheckup Content is appropriate or may be downloaded outside of the United States. Access to the Content may not be legal by certain persons or in certain countries. If you access the HealthCheckup Services from outside the United States, you do so at your own risk and are responsible for compliance with the laws of your jurisdiction. The following provisions survive the expiration or termination of this Agreement for any reason whatsoever: Location; Survival, Liability of HealthCheckup and its Licensors, User Submissions, Indemnity, Jurisdiction, No Waiver, and Complete Agreement. You expressly agree that exclusive jurisdiction for any dispute with HealthCheckup, or in any way relating to your use of the HealthCheckup Services, resides in the courts of Hyderabad, Telangana and you further agree and expressly consent to the exercise of personal jurisdiction in the courts of Hyderabad, Telangana in connection with any such dispute including any claim involving HealthCheckup or its affiliates, subsidiaries, employees, contractors, officers, directors, telecommunication providers, and content providers. 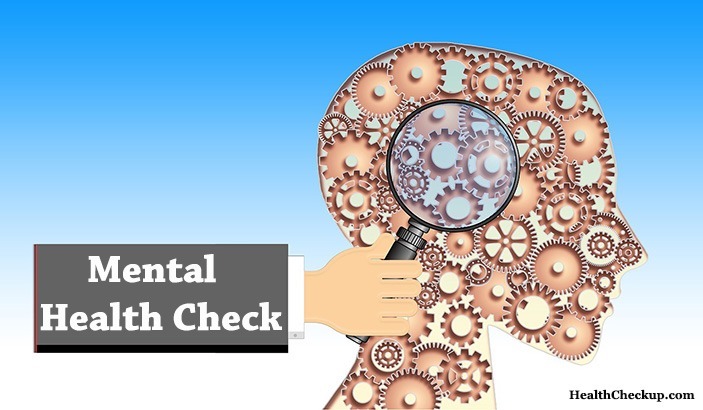 All remarks, input, recommendations, thoughts, and different entries revealed, submitted or offered to HealthCheckup on or by the Administrations or generally uncovered, submitted or offered regarding your utilization of the Administrations (all things considered, “Remarks”) might be and remain HealthCheckup’s property. Such exposure, accommodation or offer of any Remarks might constitute a task to HealthCheckup of all overall right, title and enthusiasm for all copyrights and other scholarly properties in the Remarks. HealthCheckup is and should be under no commitment (1) to keep up any Remarks in certainty; (2) to pay to client any pay for any Remarks; or (3) to react to any client Remarks. You concur that none of the Remarks presented by you to the Administrations will abuse any privilege of any outsider, including copyright, trademark, security or other individual or exclusive right(s). You additionally concur that none of the Remarks put together by you to the Administrations will be or contain offensive or generally unlawful, injurious or indecent material. You are and should remain exclusively in charge of the substance of any Remarks you make. This Agreement is effective unless and until terminated by either you or HealthCheckup. You may terminate this Agreement at any time by discontinuing use of the Services (subject to the surviving terms set forth herein). HealthCheckup also may terminate this Agreement at any time and may do so immediately without notice, and accordingly deny you access to the Services, if in HealthCheckup’s sole discretion you fail to comply with any term or provision of this Agreement.